Republican Gov. Chris Sununu has signed a bill requiring voters who move to New Hampshire within 30 days of an election to provide proof that they intend to stay. Same day voter registration just got tougher in New Hampshire. Governor Chris Sununu signed a new bill into law Monday that is stirring up a bit of controversy at the State House. “It’s simply a matter of making sure that we have accountability within that system and integrity in the first in the nation primary,” Sununu said. 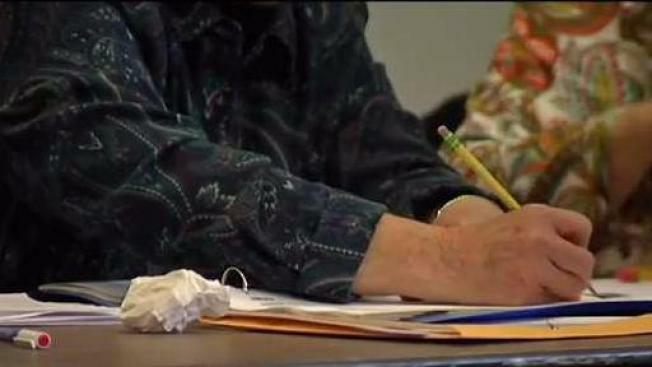 Same day voter registration is a luxury Granite Staters have enjoyed for more than two decades and while that’s not changing, residents now have to provide evidence that you live where you say you do. “Even if you move in that day and you have a rental agreement, you have paperwork from your moving, then you can bring that in and that will be proof,” said Republican Senator Regina Birdsell who sponsored the bill. Currently, voters just need to sign an affidavit swearing that they live in the town in which they’re registering. Under the new law, even if you can’t provide proof of residency on Election Day, you can still vote. You have ten days to produce the paperwork. “We have some very greys areas of the law that’s all, and that’s simply what we are trying to tighten up,” said Sununu. Governor Sununu said Tuesday there’s no evidence of voter fraud in New Hampshire. So, democrats are asking why they're fixing a system that isn’t broken. “This is a Trump styled initiative to make voting more difficult,’ said the Senate Minority Leader Jeff Woodburn. This has been one of the most controversial bills this session – passing along party lines without any support from Senate democrats who claim its voter suppression. “It’s trying to put a gated community around our voting booths so poor people and working class people don’t have the same access as rich people,” Woodburn said. The new law will take effect in sixty days.